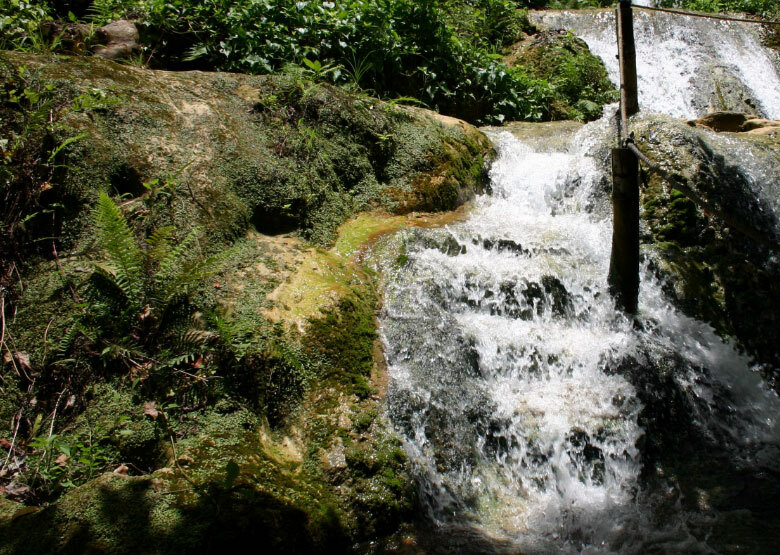 One of our favourite things to do each time we visit Port Vila, these waterfalls and cascades are spectacular. About 20 minutes out of town, the entrance is at the base of the mountain surrounded by a series of crystal clear pools and a small café with snacks & drinks. From here it’s a bit of a walk up the hill, but the scenery along the cascading stream, surrounded by tropical flowers makes it well worthwhile. The higher you get, the stronger the water cascades and there are places you might get wet as you cross the stream, so bring suitable clothing and ideally reef shoes. At the top, you are rewarded with a spectacular rockpool perfect for swimming, and a vast waterfall pounding over the cliff top. On the way back make sure to stop at the lookout with fantastic views of Mele and Hideaway Island across to the harbour in front of Port Vila. We like how this traditional village experience gives a beautiful insight into Vanuatu, and in particular, the ancient Ni-van culture still practised in some of the outer islands. 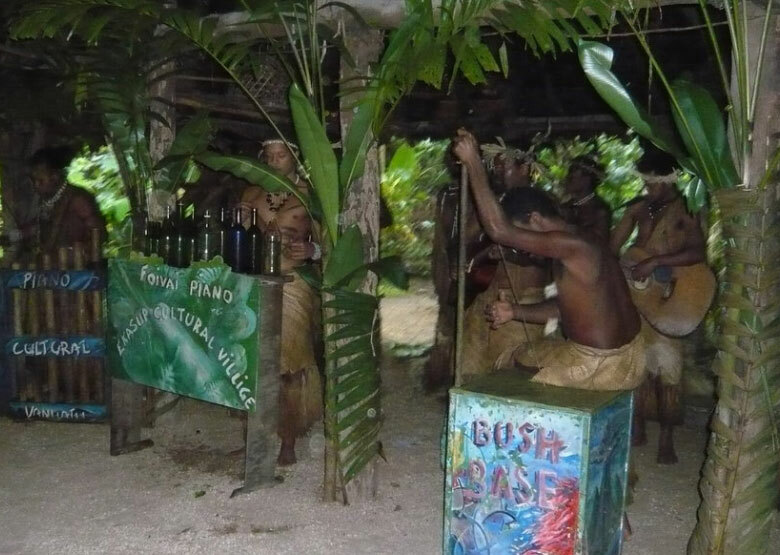 The village is set up in the traditional style of the early Melanesians, where the greeting is a mix of clubs, spears, bows and arrows and fearsome, yet somewhat smiling faces of the chief and his warriors. This interesting cultural village is divided up into different areas, and here you will be shown how they gathered their food, old ways of hunting & fishing, tribal medicine, cooking and finish with traditional dancing and music. This village experience begins with a bus pick up from all hotels. A short drive 5km away from Port Vila Township this perfect setting is hidden deep in the jungle of Erakor Lagoon. This cultural experience is a fun and exciting way to see another side of Port Vila. ngle of Erakor Lagoon. This really is a fun and interesting way to see another side of Port Vila. It’s hard to visit the tropics and not try snorkelling amongst the coral and marine life. This Marine Sanctuary is ideal to enjoy snorkelling or scuba diving in calm crystal clear water. Set on a coral island just a five-minute ferry ride from the mainland, you can observe hundreds of tropical fish just metres from shore, meander along a marked snorkel trail in 2-4 metres and even mail a postcard in their Underwater Post Office. Make sure you wear reef shoes or thongs as the beach is coral more than sand. For the more adventurous, there are plenty of closeby dive spots including an 80-metre wall covered with colourful corals. 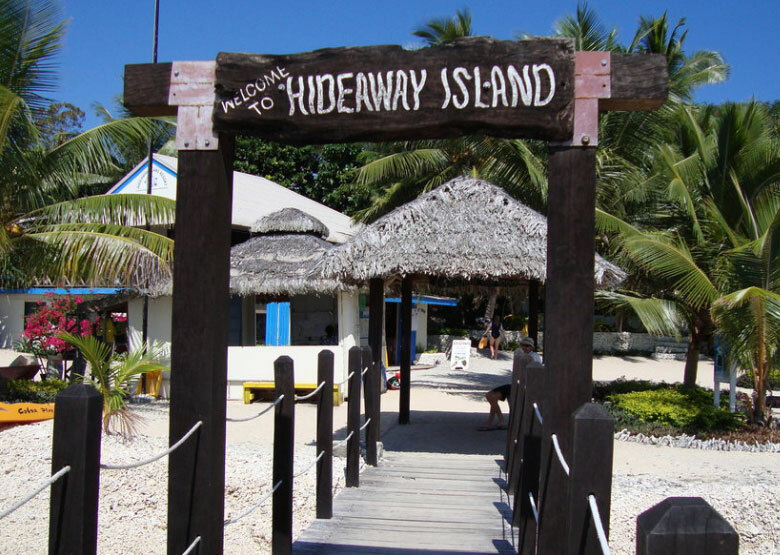 The island also has a beach bar with a good variety of meals and drinks. Right on the waterfront and open around the clock from Monday morning to noon on Saturday, the Mama’s Market is a hive of activity, vibrancy and a great experience for all. You’ll be able to say hello to the hard-working mamas at the markets and buy their family’s seasonal produce for an island picnic or a travel snack on the go. If you’re after the freshest of tropical fruits, you’ll find them here. On offer are beautiful berries, salads and vegetables, local herbs and spices, and the most amazing fresh tropical flowers. 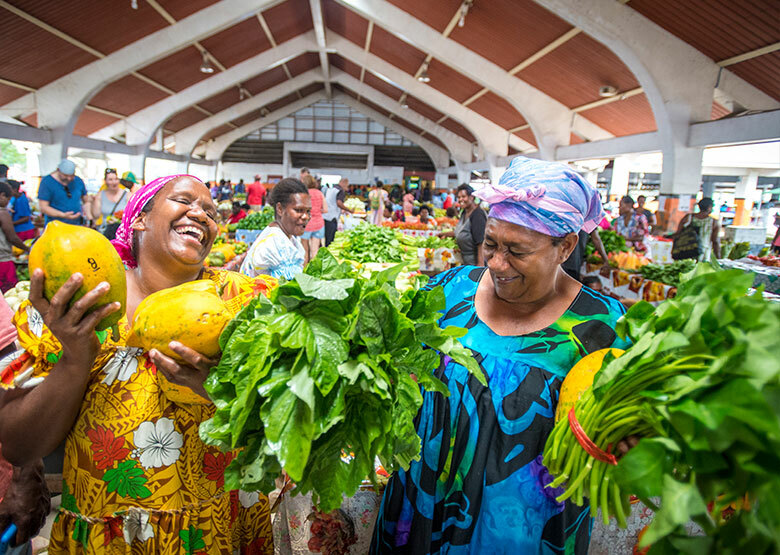 The noise of local laughter and rush of the best produce sales add to the market’s exciting atmosphere, and you’ll be sure to get an extra buzz just by knowing you’re providing Vanuatu’s local economy with a little bit of a direct cash boost. While there is no shortage of tacky souvenir shops, try this little boutique for something a little more special. The product range is eclectic. Accessories, jewellery, funky tea towels, spices, carvings, things for the home, books, and the odd item that we find hard to categorise. 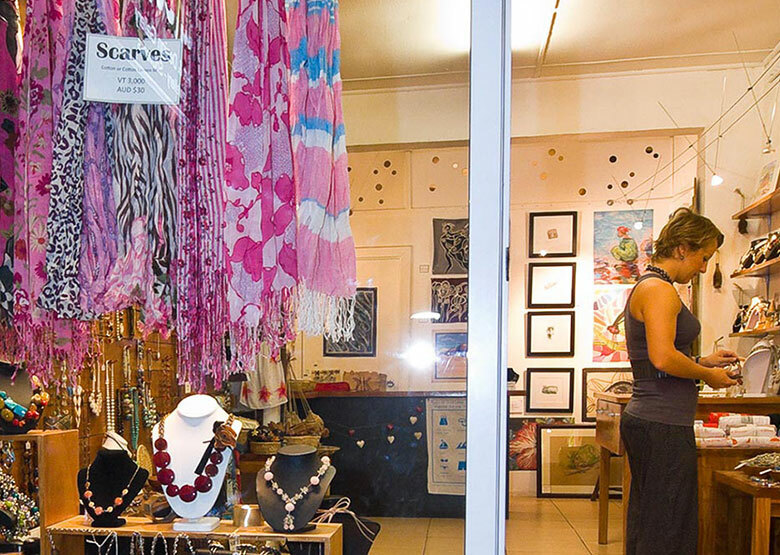 Roughly 60% of what they sell is made in Vanuatu by local artists and artisans, but the owners also travel abroad extensively and bring back other exciting products. Vanuatu is renowned for its great steak, and this is one of the best steakhouses on the island, specialising in stone-grilled steaks and other meats, with fresh local vegetable dishes served as sides. With magnificent views of Port-Vila, just near the Handicraft Market shopping Mall, and amicable staff, there are also lots of seafood options including salt and pepper calamari, calamari stuffed with fish and prawns, lobster and more. This restaurant is renowned for some of the best deserts on the island, especially for crème Brulee connoisseurs. It takes about 30min to walk from the town centre, but you can take the local minibus/van for 150vt pp and be there in 5-10 mins. Avoid cruise day, as it can be quite busy. 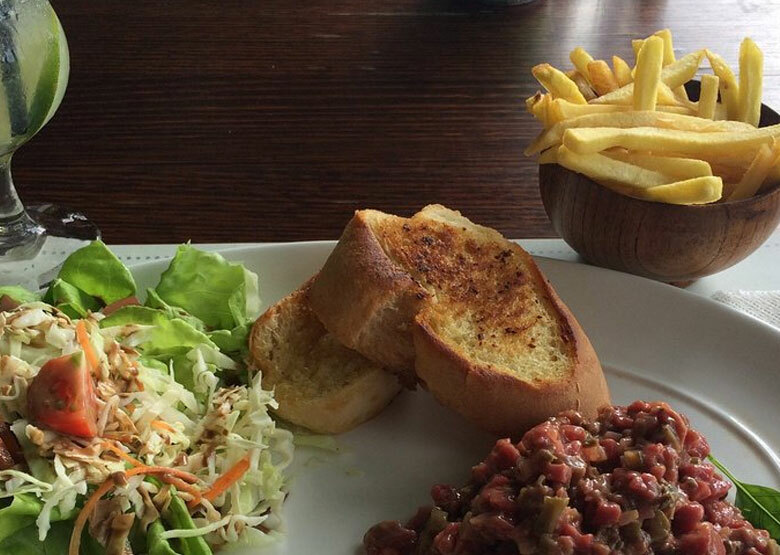 There are undoubtedly excellent dining options in Port Vila but if you’re after something exceptional we suggest an out of town option – The Point Restaurant. With its commanding 270° views over Havannah Harbour (signature restaurant of The Havannah Resort), this is one of our favourite spots in Vanuatu. 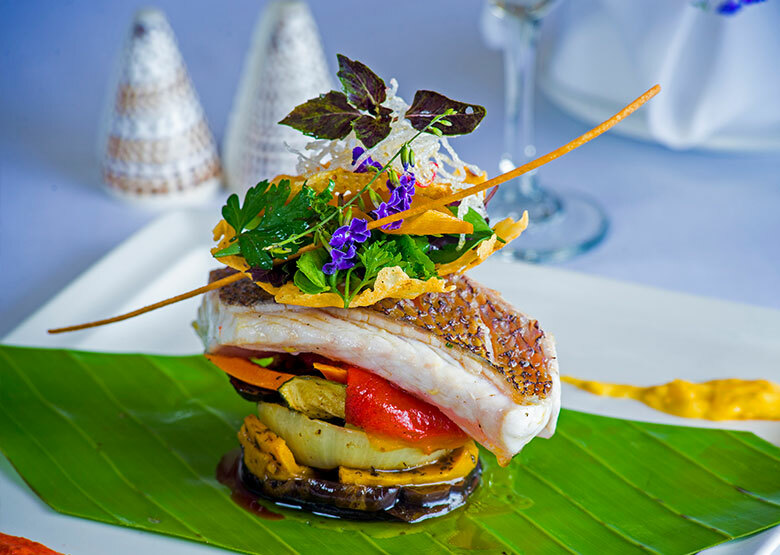 The dining locations at the resort are as varied as the cuisine as you can choose to dine under the thatched dome of the main restaurant or the flame tree overlooking the beach. The iconic Havannah jetty is perfect for a special romantic night; or if you pre-book dine in on the beach under the stars beside a bonfire. We have always found the menu to be quite extensive focusing on organic produce and of course Vanuatu’s world acclaimed beef. Accompany all this with excellent New Zealand, Australian and French wines and this restaurant is worth coming back to again & again. If you haven’t been to Port Vila in a while, you will be amazed by the waterfront redevelopment. Build through the New Zealand Aid Programme; it has taken an old under-utilised area and turned it into several kilometres of stunning waterfront walkways. 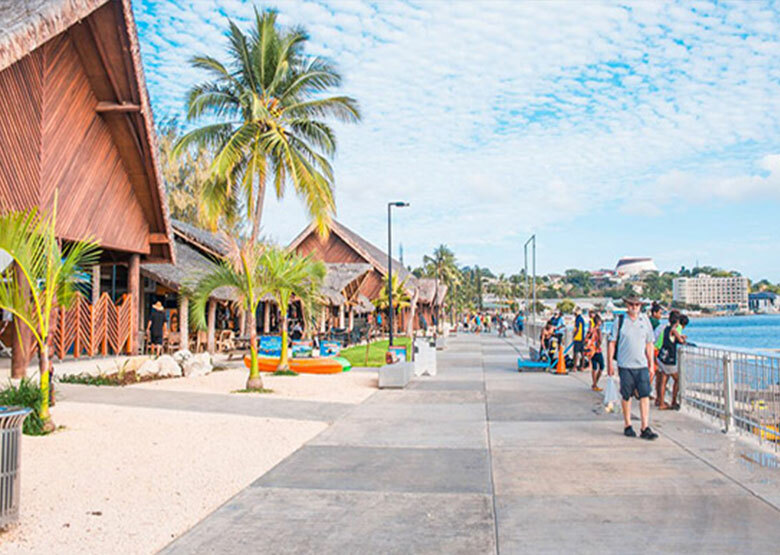 Having a walkway along the harbour-front makes it now possible to enjoy all the highlights of Port Vila; the handicraft markets, cafes, bars, restaurants, water-based tours and produce markets while taking in the stunning water views. Activities in the precinct are now more easily accessible including diving, kayaking, scenic helicopter rides and motorised water sports. 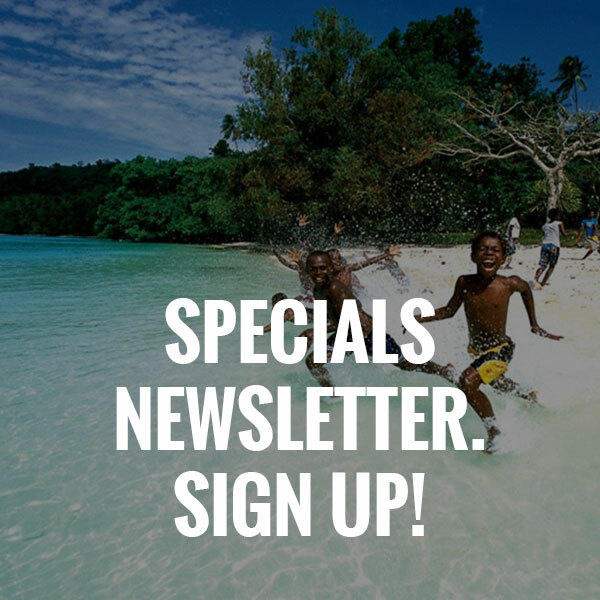 A highlight is to dine at one of the restaurants or cafes, making the newly developed space ideal to soak up the tropical surrounds and experience the laid-back vibe of Port Vila. And it’s not just tourists that are enjoying the new waterfront; the precinct has become a space for visitors to Vanuatu to mingle with the locals.